Individually packaged and designed for one-time use, this disposable 6-Prong Flat Needle is for use with the Sapphire Elite, PRO or Sapphire 2000 Rotary Machines. Perfect for full lip and areola procedures, corrective pigment camouflage, eyebrow fill-in, skin and facial needling, tattoo removal, melanocyte restoration and scar relaxation. 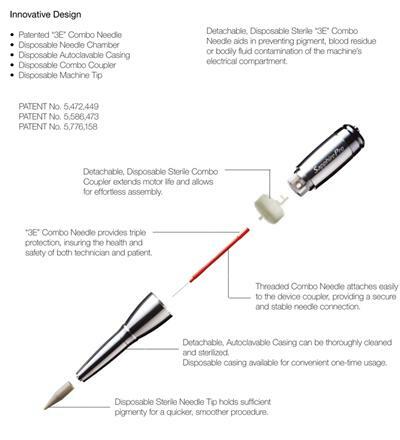 Choose a 10 needle or 50 needle package package. 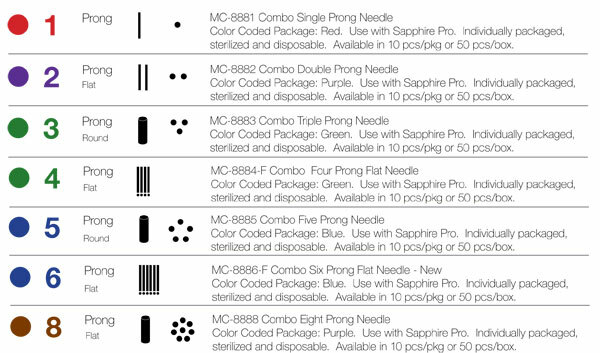 Tips for 6-Prong Flat Needles compatible with the Sapphire PRO and Sapphire 2000 Permanent Makeup Rotary Machines. Order packages of 10 or 50 tips.